I have not made lunchables in a long time. Nikolai told me that he saw his classmate's lunchables the other day and wanted me to add a cookie or candy just like what he saw. Frankly, I am not sure as I have not tried or really looked into lunchables in my whole life! I will have to go to the store later today and check them out. My lunchables inspirations are mostly from my bento friends. 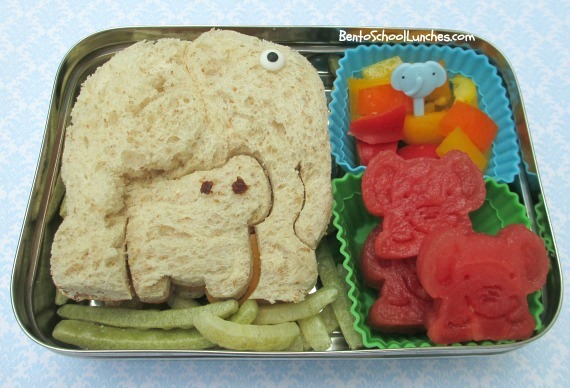 I also made a simple elephant bento last week with our easy to use Lunchpunch. Here is a DIY lunchables packed in our Ecolunchbox solo cube. Multigrain crackers, turkey slices and mild cheddar slices. Edamame topped with a baran. Organic red grapes and cotton candy grapes ( I am into them since I love cotton candy). Elephant bento packed in our Ecolunchbox solo rectangle. Elephant shaped sandwich with icing eye and raisin eyes for baby elephant. They are on top of veggie sticks. Organic sweet red, yellow and orange bell pepper pieces. Elephant shaped and stamped watermelon slices. gosh....the elephant shaped and stamped watermelon so cute ^_^ Lovely lunch! Your lunchables look so cute and yummy! the elephant lunch is so cute! 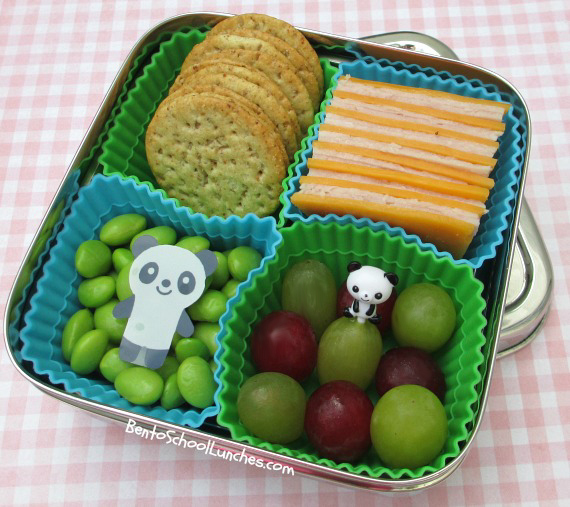 Love the DIY lunchables and the watermelon elephants! Fun! what do you do to keep the cheese from drying out? Damaris, I packed the lunch in the morning and included an ice pack with his lunch in his insulated lunch bag. What are cotton candy grapes, never heard of them?